If you want to send out a letter, you need the home address of the recipient. The address is an identifier that tells the mailman where the letter needs to go, so the address must be unique. No two homes have the same exact address, otherwise there’d be confusion. The internet works in much the same way as a postal service. Instead of sending mail, devices send out “data packets,” and IP addresses and MAC addresses determine where those data packets go. Keep reading to learn more about how they work in tandem. An IP address is a unique set of numbers that identifies a device connected to the internet. To understand where this address comes from, we have to understand a bit of how the internet works. In simple terms, the internet is just a bunch of separate networks that are connected together. Each network is called an Internet Service Provider (ISP), and if you purchase a service from an ISP, you can connect to that ISP’s network — and all the other networks connected to your ISP. Every ISP has a pool of IP addresses that they manage, and when you purchase service, you’re assigned an IP address. When data from the internet needs to reach you, the ISP’s network sees that your unique IP address is the destination, then routes that data to you. IPv4, which looks like four sets of numbers separated by periods, each number within the range of 0 to 255. IPv6, which looks like eight sets of four-character strings separated by colons, each string containing numbers and lowercase letters. Crazy, isn’t it? To learn more, read up on how the IPv4 shortage will affect you IPv4 Addresses Have Run Out: Here's How It Affects You IPv4 Addresses Have Run Out: Here's How It Affects You We're out of IPv4 addresses yet we aren't adopting IPv6. What's the problem? How can we speed everything along? But most importantly, why does it even matter? Read More . If you want a deeper explanation of how IP addresses work, check out our post on how the internet works How The Internet Works [Technology Explained] How The Internet Works [Technology Explained] Read More . A MAC address identifies a unique “network interface” in a device. While IP addresses are assigned by ISPs and can be re-assigned as devices connect and disconnect, MAC addresses are tied to a physical adapter and are assigned by manufacturers. The first six digits (called the “prefix”) represent the manufacturer of the adapter, while the last six digits represent the unique identification number for that specific adapter. The MAC address contains no information about which network a device is connected to. To learn more about structure and nuances, see our post on the intricacies of MAC addresses What Is a MAC Address & Can It Be Used To Secure Your Home Network? [MakeUseOf Explains] What Is a MAC Address & Can It Be Used To Secure Your Home Network? 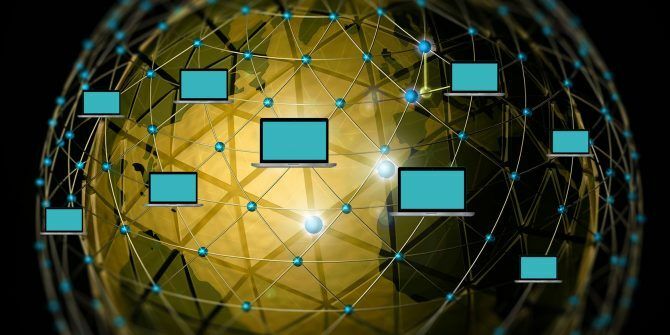 [MakeUseOf Explains] Network structure and management have their own lingo. Some of the terms thrown around will likely already sound familiar to you. 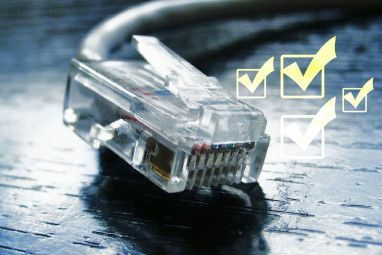 Ethernet and Wi-Fi are largely self-obvious concepts, although it may require a little bit... Read More . The IP address is used to transport data from one network to another network using the TCP/IP protocol. The MAC address is used to deliver the data to the right device on a network. Let’s say your name is “John Smith,” which isn’t unique enough as an identifier. But what if we incorporated your ancestry (i.e. your “manufacturer”)? You would be “John Smith, son of Edward, son of George, son of…” Go far back enough and it becomes unique. This is your MAC address. If I want to send a package to you, I can’t just tell the post office to send it to “John Smith, son of Edward, son of George, son of…” Even though it uniquely identifies you, it’d be a pain for the post office to find you. That’s why I need your home address. But the home address itself isn’t enough on its own, either. I need the home address and your name, otherwise you’d receive the package but wouldn’t know if it was meant for you, your wife, your children, etc. The IP address is where you are, the MAC address is who you are. What does this look like in actual terms? Your router/modem has a unique IP address (“home address”) assigned by your ISP (“postal service”). The devices connected to the router/modem (“people living at home”) have unique MAC addresses (“personal names”). The IP address gets the data to your router/modem (“mailbox”), and then your router/modem forwards it to the right device (“recipient”). This is how the MAC Filtering feature works How to Configure Your Router to Make Your Home Network Really Secure How to Configure Your Router to Make Your Home Network Really Secure Default router settings put your network at risk, allowing freeloading strangers to squeeze nadwidth and potentially commit crimes. Use our summary to configure your standard router settings to prevent unauthorized access to your network. Read More on modern routers: you can tell your router to deny access to specific MAC addresses (i.e. specific physical devices) or only allow certain MAC addresses to connect. You can’t do the same with IP addresses because routers assign internal IP addresses to devices as they connect, and recycle them when devices disconnect. That’s why your smartphone could have an internal IP address of 192.168.0.1 in the morning but 192.168.0.3 when you come home from work. Blocking “192.168.0.1” would make no sense. Another nifty use for MAC addresses is triggering Wake-on-LAN How To Setup Wake On LAN Using The MAC Address How To Setup Wake On LAN Using The MAC Address Read More . Ethernet adapters can accept a “magic packet” that causes the device to wake up, even if it was shut down. 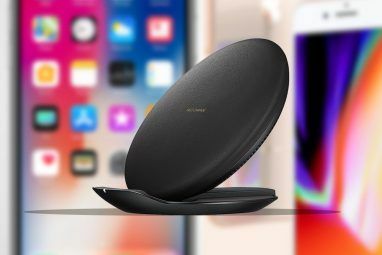 The magic packet can be sent from anywhere on the same network, and the MAC address of the receiving device’s Ethernet adapter is how the magic packet knows where to go. Remember how an IP address denotes the connection of a device to an ISP? Well, what happens if a second device connects to the main device and funnels all of their web activity through it? To the rest of the web, the second device’s activities appear to be the main device’s. That’s basically how you hide your IP address from others. While there’s nothing inherently wrong with doing this, it can lead to security problems. For example, a malicious hacker who smartly hides behind several proxies can make it difficult for authorities to track him down. 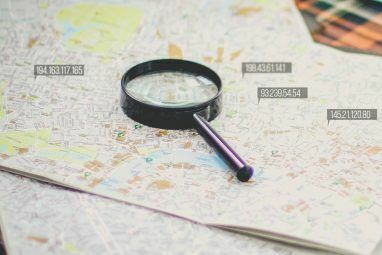 Another quirk is that IP addresses can be traced How to Trace an IP Address to a PC & How to Find Your Own How to Trace an IP Address to a PC & How to Find Your Own Want to see the IP address of your computer? Perhaps you want to discover where another computer is situated? Various free tools are available that tell you more about a computer an its IP address. Read More . You’d be surprised what someone can do with just your IP address. And there’s also the potential issue of IP conflicts What's an IP Conflict, and How Do You Resolve It? What's an IP Conflict, and How Do You Resolve It? Have any of your devices ever displayed an error message pertaining to an IP address conflict? Read More , where two or more devices share the same IP address. This mostly happens within a local network, but with the growing shortage of IPv4 address, it could soon ramp up across the internet as a whole. As for MAC addresses, there’s really only one problem to know about: it’s surprisingly easy to change a device’s MAC address How to Change Your MAC Address on Windows How to Change Your MAC Address on Windows Fiddling around with network settings is no one's favorite PC activity. Fortunately, some tasks are rather simple. We show you how to change your MAC address on a Windows PC. Read More . This defeats the purpose of a manufacturer-assigned unique identifier, since anyone can “spoof” another’s MAC address. It also renders features like MAC filtering almost useless. Regardless, IP and MAC addresses are still useful and important, so they won’t be going away anytime soon. Hopefully you now understand what they are, how they work, and why we need them. If you have any questions, please feel free to ask. Or if you have any other tips or explanations to add, share them with us. Just use the comment field below! Explore more about: Computer Networks, Internet, IP Address. router/modem has a unique IP address (“home address”) assigned by your ISP (“postal service”). The devices connected to the router/modem (“people living at home”) have unique MAC addresses (“personal names”). The IP address gets the data to your router/modem (“mailbox”), and then your router/modem forwards it to the right device (“recipient”). So if IP addresses are used to route traffic among networks, and MAC addresses uniquely identify devices connected to the router, then why do the devices on a LAN have IP addresses assigned to them by the router? Should MAC addresses not be sufficient?